Investors who want long-term income often choose to invest in preferred stocks. 1. What Is Convertible Redeemable Preferred Stock? Corporations issue stocks to raise funds for business operations, expansions, and to pay down debt. Stocks are placed in two broad categories – common and preferred shares. Purchasing common stocks gives investors a certain percentage of equity within the issuing company. Preferred stock shares are a hybrid of common shares and corporate bonds. The characteristics of the two types of shares differ greatly. Investors should understand these features before deciding which to choose as an investment. A common share is a financial security that represents a percentage of equity ownership in a company and entitles shareholders to a portion of the company's profits. A common share is also referred to as a voting share or common stock. A preferred share is a financial security that entitles shareholders to a fixed dividend and higher claim on assets than shareholders of common stocks. Preferred shares are sometimes referred to as preference shares of preferred stock. 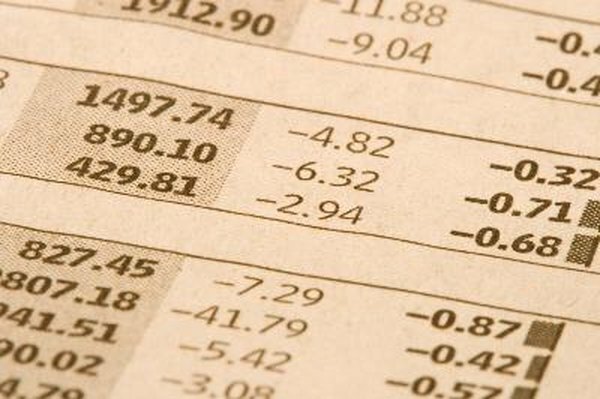 Common and preferred shares are listed differently and sold at different prices. Not all companies choose to issue preferred stocks. Those that do typically want to raise money without giving up voting rights to investors. Common shares are considered more volatile than preferred shares because common share prices can fluctuate greatly in relation to the company's earnings, government regulation, investor confidence and economic factors. Preferred share prices are largely determined by interest rates, which typically do not change rapidly. Preferred shares are similar to bonds because they pay investors a fixed payment amount. They may or may not come with a maturity date. Fpr example, traditional preferred stocks do not come with a maturity date, while trust preferred stocks have maturity dates ranging from 30 to 50 years. A company's prospectus explains its policies regarding what happens when a preferred stock matures. In most cases, the company redeems the shares at a fixed price. Preferred shares might come with a convertible feature, which allows investors to convert them to common shares after a certain period of time. Corporations pay dividends to preferred shareholders before deciding on whether to pay dividends to common shareholders, and the dividend payout is typically more for preferred shareholders than common shareholders. However, unlike common shareholders, companies pay preferred shareholders a fixed dividend amount. This can serve as a disadvantage because preferred shareholders cannot participate in the revenue growth of the company. For example, a company that experiences a high quarterly profit might decide to pay a higher dividend to common shareholders, while preferred shareholders are still paid the predetermined fixed amount. One benefit of investing in common stocks is the ability to vote for members of the corporation's board of directors. Common shareholders are given voting rights, while preferred shareholders are not. Depending on the bylaws of the company, voting rights might focus on such matters as mergers and acquisitions, stock splits and changes in the corporation’s capitalization. The specifics of a shareholder’s voting rights depend on how many shares you own. For example, if you own 100 common shares of a company, you are able to cast 100 ballots for who you want to serve as a director in the company. In the event that a company files for bankruptcy protection, preferred shareholders are entitled to receive dividend payouts before common shareholders. According to Mount Holyoke College, the most junior security a corporation can issue is common stock. This means that out of all of the financial securities a company can issue to raise funds, common shareholders are last in line to receive benefits offered by the corporation to its investors.